Culture Editor of BuzzFeed UK, Bim Adewunmi reports on 23 Nigerian Foods The Whole World Should Know And Love. 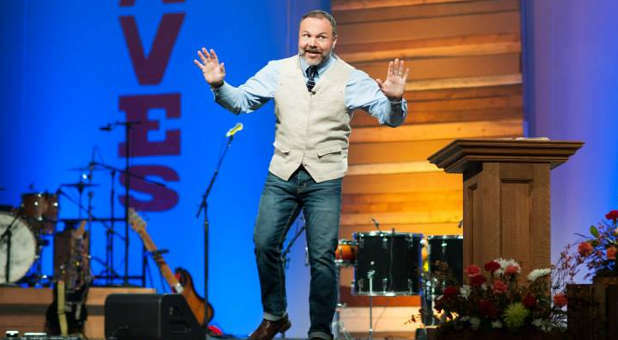 What it is: Not whatever the hell Jamie Oliver said it was. 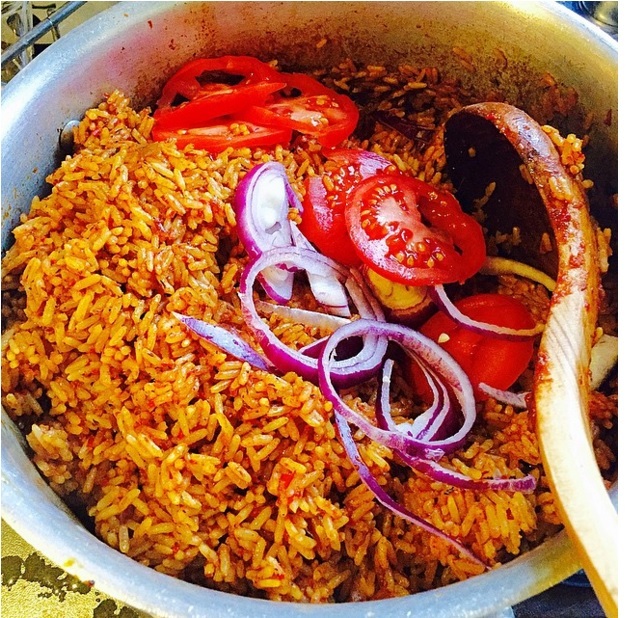 Jollof’s base ingredient is always rice, and “TPO” (tomato, pepper and onion) plus scotch bonnets. It’s customisable according to your preference: make it hotter than the sun, or as mild as a European’s palette (jk, but not really). Add mixed vegetables if you want (please don’t). Best enjoyed with piping hot dodo (see below) and a cold Supermalt. Why it’s awesome: It’s pure, flavourful carbs, and tastes like God’s love. What’s not awesome about that? There’s a recipe here. Or try this one here. What it is: Deep fried bean cakes. Why it’s awesome: These delicious protein-packed fritters are light, making them ideal for breakfast (as a side with ogi, perhaps) or throughout the day as a snack. Most people use peeled brown beans, ground and blended with onions and spices, and fry in vegetable oil. They taste amazing when eaten with Agege bread. 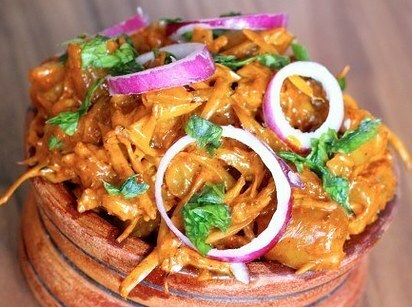 Why it’s awesome: Nigerians love a pottage, and they are most commonly made with yams (Nigeria is one of the top producers of yam in the world). This variation balances the nuttiness of brown beans with the natural sweetness of plantains, and the palm oil adds a rich smoky taste to it. What it is: Skewers of intricately spiced cuts of meat, grilled to perfection over an open flame. Often served with sharp, raw chopped onions, and wrapped in newspaper. 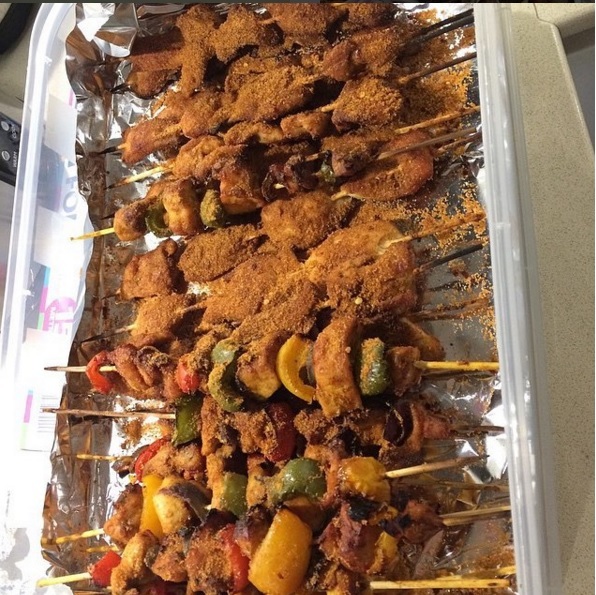 Why it’s awesome: Suya is widely considered to be a specialty of the Hausa people of northern Nigeria and Niger. The key to excellent suya is the spice mix (yaji) it is steeped in before grilling, and the Mallams will never share their recipes. The joy of suya is finding the best spots in your state. 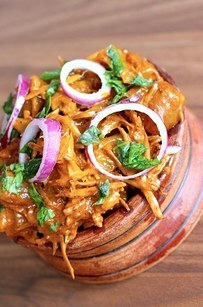 There’s a recipe here, but if you have the funds, why not visit Nigeria and try the real thing? 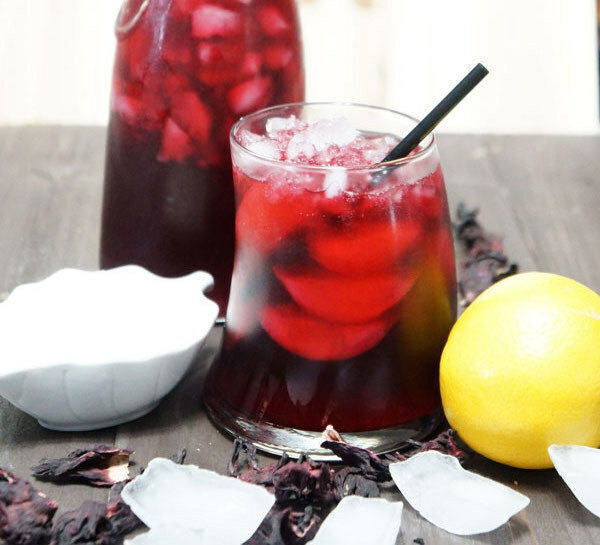 What it is: The roselle plant is a hibiscus plant that is native to parts of west Africa, and the flowers are what’s used to make this refreshing drink. Why it’s awesome: It’s tangy and sweet and inherently customisable – you can add fruits of your choice, like a non-alcoholic Pimm’s: cloves, sparkling water or lemonade, and even chilli. On a hot day, there’s nothing like a tall glass of zobo. There’s a recipe here and another here. What it is: A (vegan!) dish made of peeled Nigerian brown beans ground together with onions, bell pepper, palm oil and spices, and steamed in banana leaves (or other vessels). You can add any combination of extra bits to it: flaked fish, slices of hard boiled eggs, ground beef… it’s literally up to you. Why it’s awesome: It’s delicious and nutty, and is great as a side (try it with any rice dish) or part of a main dish with, for example, soaked garri (fermented cassava). There’s a recipe here and another one here. 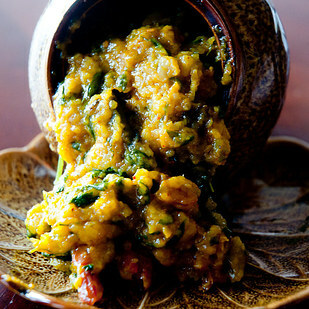 What it is: Essentially, a “dry” leafy vegetable soup from the Cross River region of Nigeria. 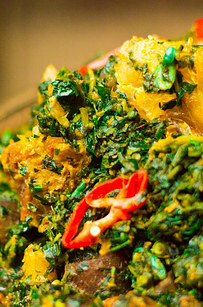 The (iron-rich) greens are a mixture of ugwu (a fluted pumpkin leaf) and gbure (waterleaf). In places where these leaves are unavailable, people substitute spinach. People also use a mix of meats and fish, and for authenticity, periwinkles. Why it’s awesome: Served hot, with pounded yam or fufu, it’s a party in your mouth. Top tip: get a friend from Calabar to cook it for you – there’s nothing like it. There are recipes here, here, or this one here. What it is: Pronounced “doh-doh”, these are deep fried plantains (not bananas), cut in slim diagonal slices, circles or cubes (colloquially known as “party dodo”) and deep-dried. 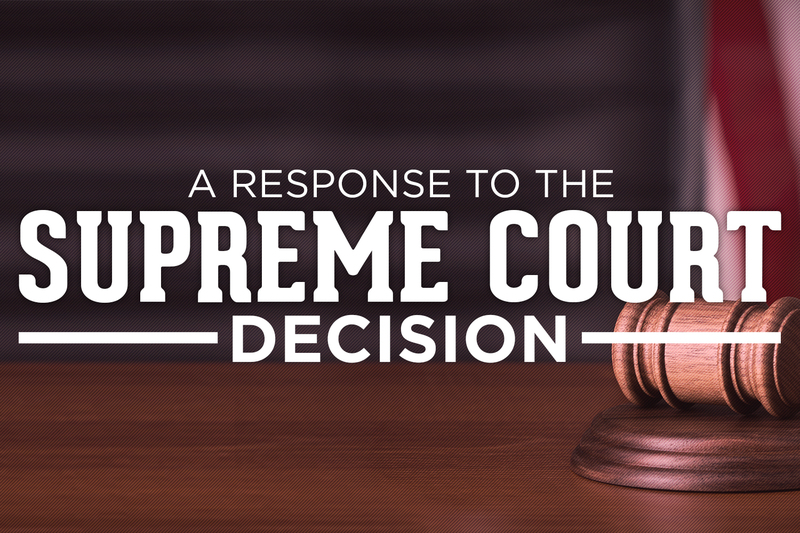 Some people like to sprinkle some salt on before frying, but that’s down to personal taste. It’s a snack, a side dish, a main meal, a blessing. Why it’s awesome: It tastes like a mother’s love. It’s impossible to cook it badly. It’s both a whole meal and a side dish. It is the best thing. You don’t really need a recipe for this: just peel, chop and fry. 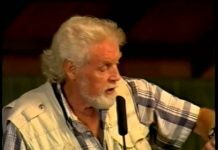 Crack open a Supermalt and eat it on the veranda. What it is: A soup made from ground ogbono (African mango) seeds plus palm oil, stock and spices. It’s usually eaten with staples like eba, fufu, pounded yam or amala. Why it’s awesome: It has “draw”, that wonderful slippery texture that helps the fufu go down easier. There are many variations on it, too: cooked alone, with vegetables, with or without meat or fish, with okra, or even with added melon seeds (egusi). It’s super-quick to cook, and a perfect introduction to the many soups of Nigerian cuisine. There are recipes here and here. What it is: Basically deep fried, light-as-air sweet dough balls, served alone or with sugar sprinkled over them. Why it’s awesome: See above, please. They are the perfect party food. There are so many recipes out there. Try this one with a coconut twist. What it is: A thin, very spicy “drinking soup” or broth, chock-full of assorted cuts of meat or fish and scented leaves of uziza. 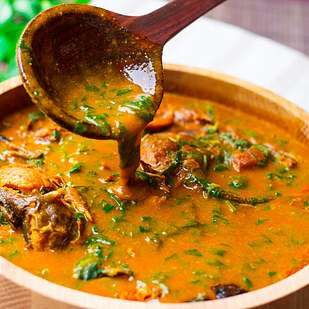 Why it’s awesome: If you believe in using the whole of the animal when it comes to meat, this is the dish for you – every single cut of meat finds its way into pepper soup, and adds to a rich, flavourful end product. 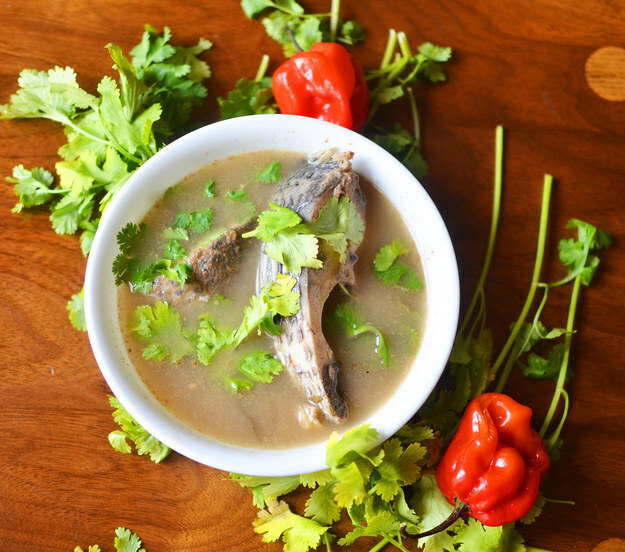 Many people swear by catfish pepper soup as the definitive soup, while others claim goat meat makes the best version. 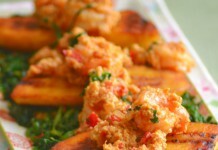 You can add extras like chunks of boiled plantain or yam, as well as a dash of palm oil to serve. The spices used vary depending on the region; every ethnic group has its own unique take, making use of local scented leaves and spices. It’s never less than . There’s a lesson and recipe here, and another one here. The photo above, a tilapia steak pepper soup, comes from here. 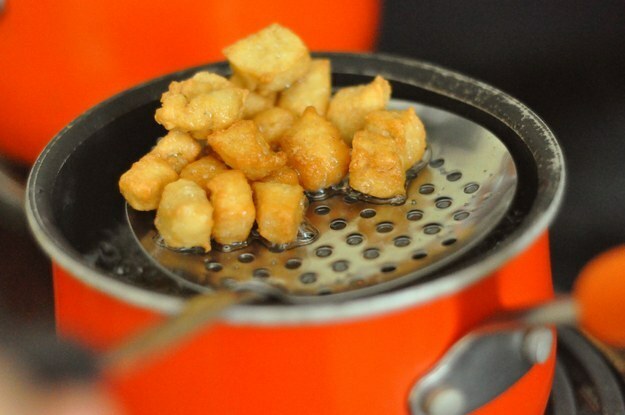 What it is: Crunchy cubes or strips of sweet, deep fried pastry. Why it’s awesome: It’s basically fried butter and sugar, and it’s dangerously moreish. Perfect for snacking, and if you’re looking to keep small hands busy with a rainy day activity, it’s foolproof. There’s a video tutorial here, and another recipe here. What it is: A palm fruit-based soup that is most commonly associated with the Delta region, and particularly the Urhobo ethnic group. There are variations across the country – and indeed west Africa and beyond – but they all include regional spices and all elevate fresh ingredients (fish and seafood, assorted meats, the palm fruit itself) above all things. Why it’s awesome: It tastes like no other Nigerian soup. The palm fruit, shellfish and meat create delicious textures and an explosion of taste, and while it goes withanything, I strongly urge you to have it with “starch” or eba. 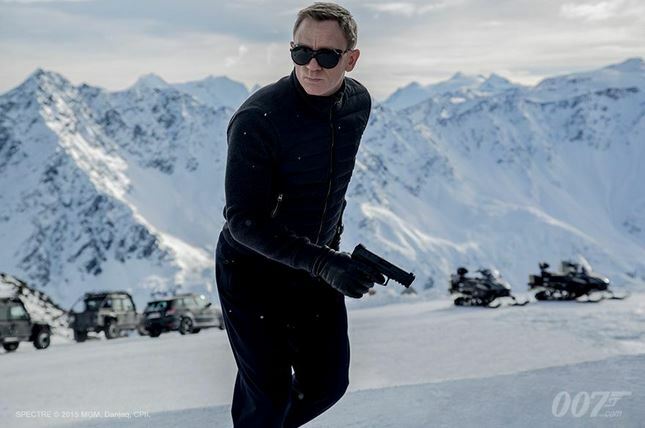 There’s a great story and recipe here and another here, and a super-fishy one here. 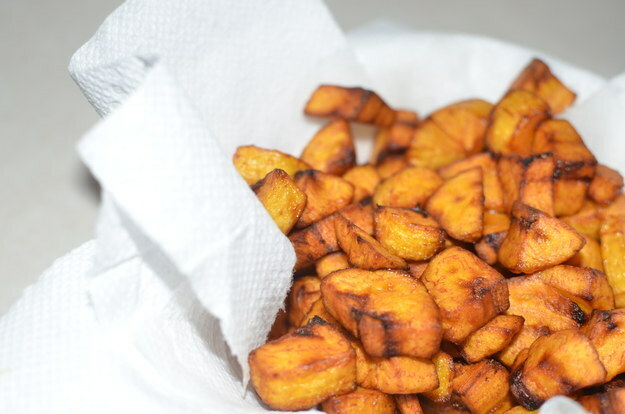 The image above comes from this blog where the cook has chosen to cook plantains in the soup. 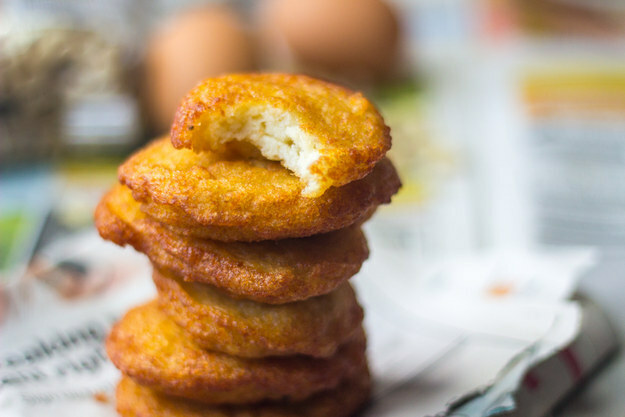 What it is: Slices of yam, dipped in a light akara mix (see #2 above), or a plantain batter, and then deep fried. Why it’s awesome: It’s carb-tacular goodness. Akara, boli (roasted plantains) and dundun (deep-fried yams) are classic (and delicious) street foods, but a combination of all three? Why not, yes please. Serve with chilli sauce, or a quick pepper stew. 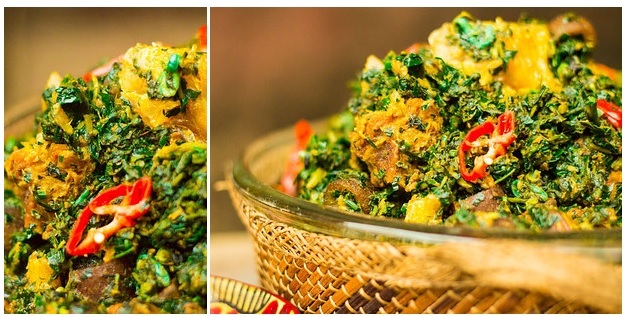 What it is: A literal translation from the Yoruba is “mixed greens” and while they are the star of this rich, fragrant vegetable stew, there’s so much goodness besides: blended scotch bonnets, bell pepper, onions and locust beans. This is a classic Yoruba dish. Why it’s awesome: It goes with everything. 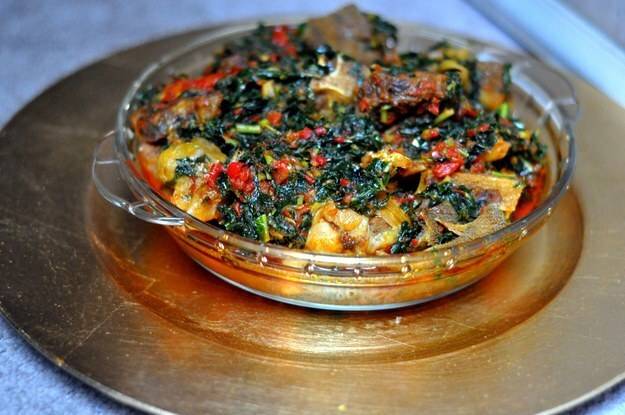 Purists insist authentic efo riro must have efinrin (African spinach) and efo soko (Lagos spinach). Others say tomatoes are banned (to prevent sogginess). Some insist on palm oil over vegetable oil. All agree it’s freakin’ delicious. You can find recipes here, one with tomatoes here, and a variation that uses kalehere. If you’re interested in some of the scores of green leafy vegetables used in a lot of Nigerian cooking, here’s a handy list. What it is: Deshelled African land snails, usually cooked in an onion and pepper sauce. Why it’s awesome: The taste and texture of African land snails is hard to describe to the uninitiated, but a good number of people think it is just excellent. They are a popular party snack, skewered on little toothpicks. There are loads of ways to cook snails, but many parboil them at the very least, before sautéing, or frying them. 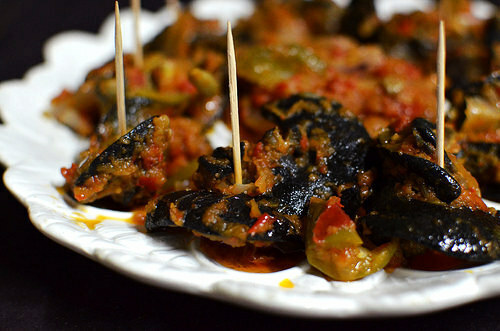 This is a basic peppered snails recipe. Here’s a great recipe for fried plantains tossed with snails in a tomato and pepper sauce, and here’sanother. This writer has written a full “how-to” when it comes to preparing them (don’t forget to deslime with alum or limes!) for cooking. What it is: Mixed okra/okro soup. To be eaten with solid staples like pounded yam, amala, eba, fufu of all types. Why it’s awesome: Okra’s viscid quality (“draw”) is a love-hate thing (but if you hate it your opinion is wrong) and this showcases it perfectly. This is an often piquant one-pot edition of two separate meal components (the okra, and the stew) and bolstered with lots of assorted cuts of meat and/or seafood. Make no mistake: It is a rich stew, and consumption is best followed by a nap. There’s a recipe here, and another one here and this super-seafood recipe here. 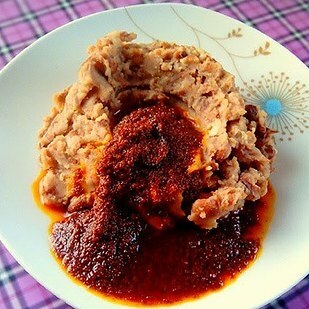 What it is: Smashed white or brown beans served with a pepper and palm oil sauce. Why it’s awesome: This is a perfect hot street food. 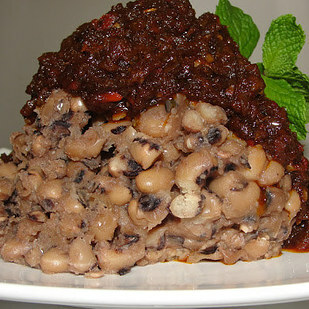 “Ewa” is “beans” in Yoruba and “Agoyin” is a reference to the Beninoise peoples who originated this dish. The beans are cooked until soft (some say it must be mashed, others say it’s OK to have a few individual beans remain whole) and distinctive dark, smoky sauce has a palm oil base, with dried peppers, onions and some people add ground crayfish. It tastes magical. There’s a recipe here, another here plus one one. What it is: Grated cocoyams wrapped in cocoyam leaves and cooked with periwinkles, greens, and palm oil. Why it’s awesome: This is a dish from the Efik ethnic group, and part of the Nigerian family of porridges. This is really something – I’ve only ever eaten it on special occasions partly because it can be a little finicky to cook, but it’s so worth it: creamy, flavoursome comfort food at its best. There ‘s a really handy recipe video here and another one here. 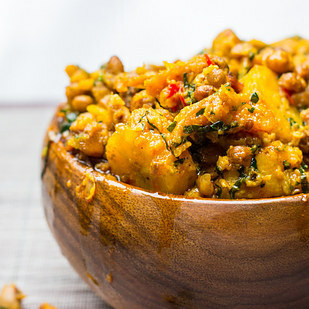 What it is: Ground melon seed stew cooked in palm oil, with added leafy greens and meat or seafood, seasoned with ground crayfish and iru (locust beans). 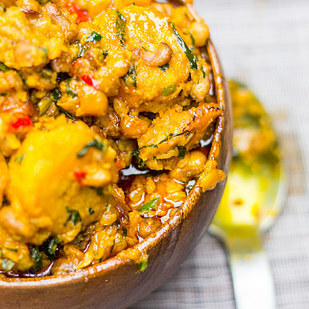 Why it’s awesome: The fluffy clumps of egusi taste are the main attraction in this stew, and there are different methods to get it that way: some people fry the egusi before adding it to the pot, while others bind it with egg and drop it into the stew during cooking. And then there are some who don’t like it clumping at all. The leaves are important too – ewuro (bitterleaf) and ugwu (fluted pumpkin leaf) are most commonly used, but spinach is an alternative if they’re difficult to source. 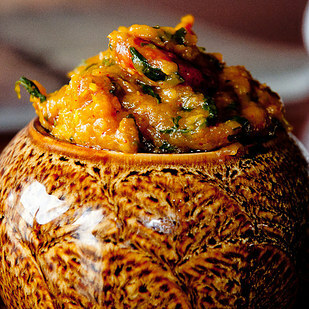 Serve with iyan (pounded yam), amala or eba, and try not to lick the bowl. There is a recipe here, another here and a short video tutorial here. What it is: Spicy cow foot served in a thick palm oil-based sauce. Why it’s awesome: Listen, “cow foot” may not sound like a delicacy, but you’ll just have to take it on trust that it is. 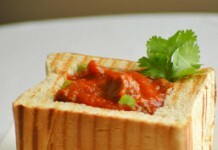 For that authentic taste, you must use utazi leaves and palm oil. There’s a recipe here, and another one here. Or you could just head over to a Nigerian restaurant and try your luck there. What it is: The leaves of the jute plant, cooked and blended. Why it’s awesome: Like okra, it’s mucilaginous when cooked, making it ideal as an accompaniment to the starchy staples like amala and fufu. 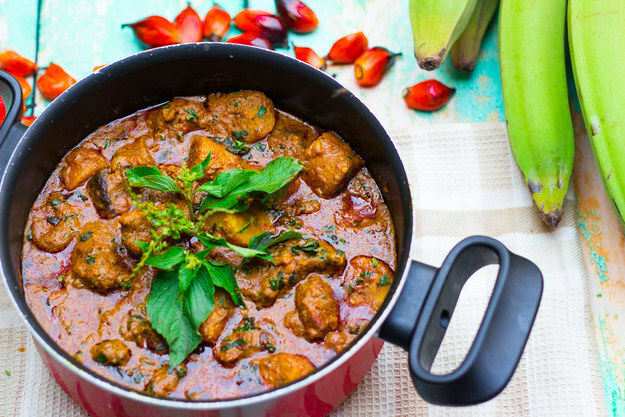 The slight bitterness of the leaves makes for a harmonious blend with many tomato-and-pepper-based stews as an alternative to ila or apon, and there are so many ways to customise it to personal taste. Don’t forget to add kaun (potash) to help soften the leaves and thicken before blending. Here’s a basic recipe. And then there’s this recipe for one-pot dish mix of ila and ewedu that is superlatively good. 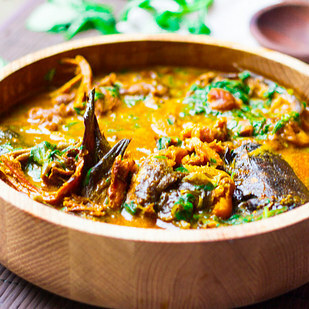 What it is: A leafy vegetable stew from the Efik people, cooked in palm oil with stock, cuts of meat and seafood. 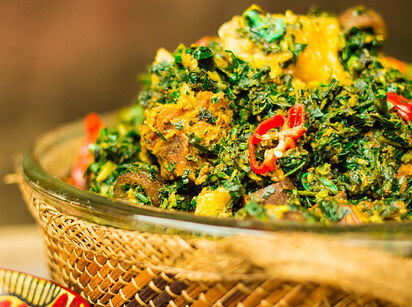 Why it’s awesome: Afang is a rich (in nutrients and flavours) stew, and gets its name from the leaves used. You must use afang or okazi for it to qualify as afang stew. Afang leaves are more bitter and a little tougher than the waterleaves that are also a component of this dish, and when blended (or chopped finely) create a lovely texture and taste. It goes great with usi (cassava starch), pounded yam or eba. There’s a recipe here, this one here, and another here.